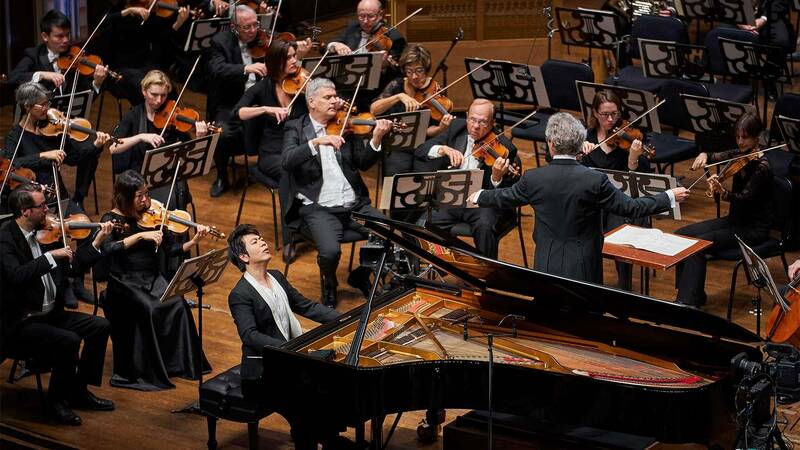 Long regarded as one of the world’s finest orchestras, the Cleveland Orchestra celebrated the centennial of its founding in 1918 in September 2018 with a gala concert conducted by its music director, Franz Welser-Möst, and featuring internationally acclaimed pianist Lang Lang. This special concert features Mozart’s Piano Concerto #24, Richard Strauss’ Die Frau ohne Schatten Fantasy, and Ravel’s La Valse. Great Performances The Cleveland Orchestra Centennial Celebration Celebrate The Cleveland Orchestra’s centennial with a special gala concert.